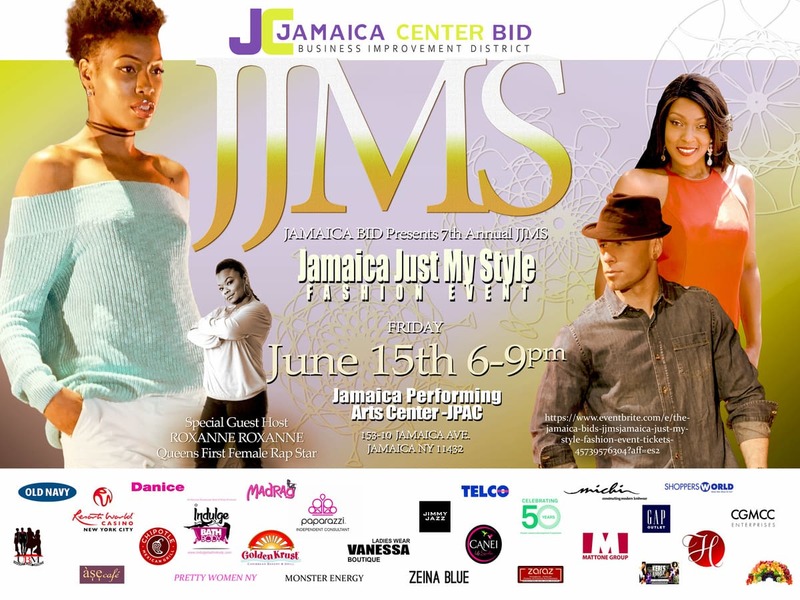 On Friday, June 15th the Jamaica BID held the 7th Annual Jamaica Just My Style Fashion Event, at Jamaica Performing Arts Center. The event bringing together influence’s for an evening of fashion, wine tasting and entertainment. This year’s host was, Roxanne Roxanne, with DJ Sylk, and featured designer, Michele McPhee of Queens New York. Fashions from: Old Navy, Vanessa Boutique, Shoppers World, Jimmy Jazz, Danice, MadRag, Telco and Hot Point. Sponsors: Resorts World Casino NYC, Mattone Group Jamaica, LLC, Raymour & Flanigan, Greater Jamaica Development Corporation, Fresh & Healthy, MKJ Beauty, Golden Krust Caribbean Bakery & Grill, Black Hawk Imports, and Chipotle Mexican Grill. Media coverage by: Keri’s Korner, Queensbuzz.com and Harlem Community News, special accessory ammenties from vendors: Jazzy Jewels by Jean Robinson, and Indulge Bath N Body by Marla G, and CGM Enterprises, Carl G. Morris, (Travel Services) social media/website coming soon. 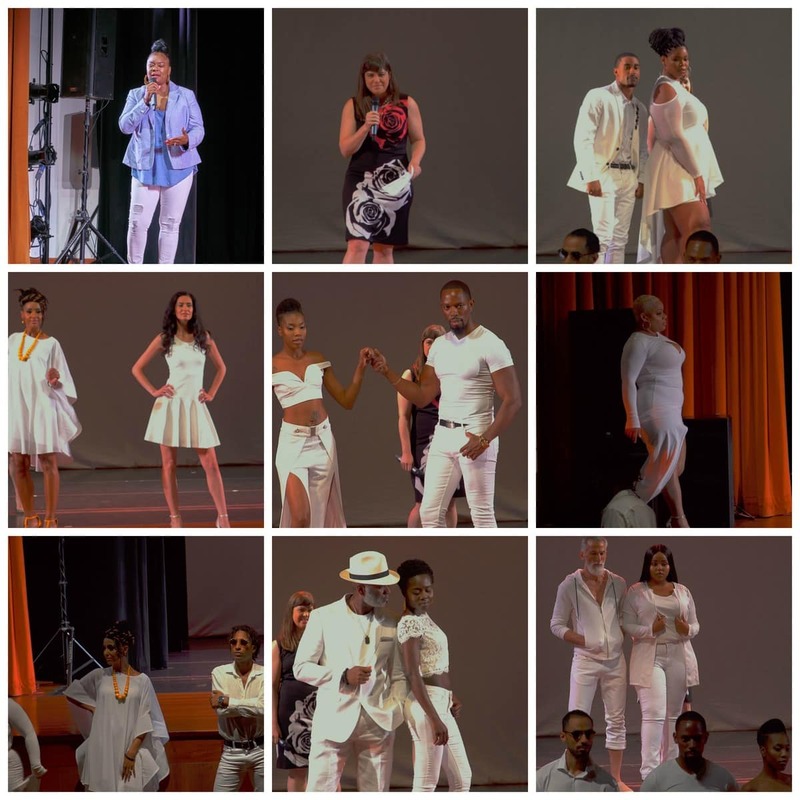 The BID thanks all of our Sponsors, Jamaica Avenue Retailers, Vendors, and the Community for making the 7th Annual JJMS Fashion Event, another success….See you next year! The Jamaica Center Improvement Association was awarded an Active Arts Public Art Grant, and is inviting artists to submit their qualifications for consideration. The selected artist will engage with the community to produce a one-year long temporary, large-scale ground mural installation for the newly-activated Parsons Blvd. Public Space, (btw. Jamaica Avenue & Archer Avenue) in Downtown Jamaica. Submissions of qualifications are due to the Jamaica Center BID by July 11th, 2018. Please send submissions to info@jamaicacenter.org. As a part of the project, we are inviting you to be a part of a survey about living, working, and going to school in Jamaica Queens. Survey insights, along with stakeholder meetings, statistical reports, and workshops are key to developing a compelling brand and positioning strategy for Jamaica Queens. Attached you will find the flyer for the survey which should take no more than 10-15 minutes to complete. 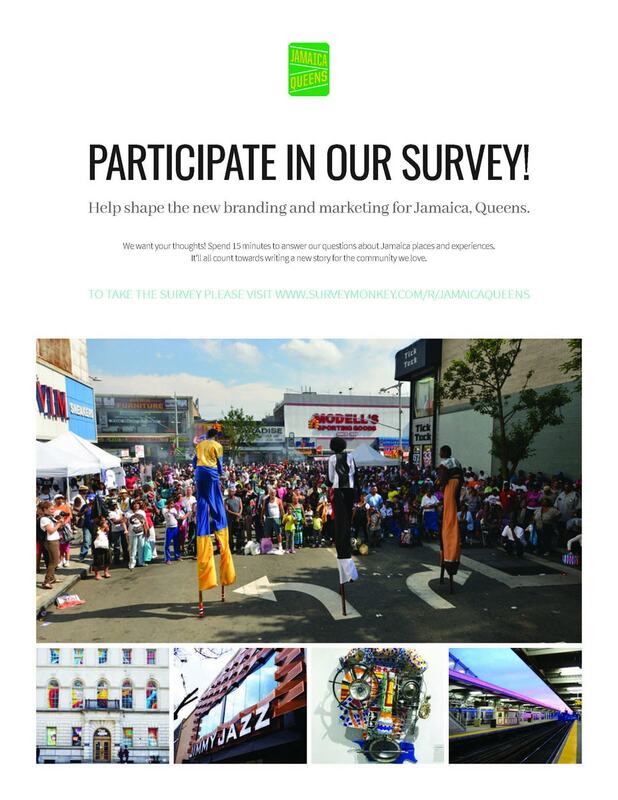 The survey can found online at: JamaicaQueens. All information will be confidential and all identifying information is removed before we analyze the results. The council would appreciate your participation and assistance to promote the survey. The survey will close, July 11th. We look forward to using this information to make Jamaica, Queens an even better place to live, work and play in the future. Friday, June 15th from 6pm to 9pm, Downtown Jamaica will be the ultimate style destination with the BID’s 7th Annual #JJMS… “Jamaica Just My Style” Fashion Event”, showcasing special styles from popular businesses on Jamaica Avenue, our featured designer, Michi Knitwear, by Michele Walden Mcphee from Queens, and introducing Destiny Johnson, Queens up and coming R&B Hip-Hop Artist, with Special Guest Host, “Roxanne Roxanne“, Queens First Female Rap Star. Jamaica “Just My Style” Fashion Event” is part of the Jamaica Center BID’s ongoing effort to promote Downtown Jamaica as a fashion, arts, cultural and shopping destination. In its seventh year, Jamaica “Just My Style” Fashion Event” will bring over 400 influencers and the community together to experience the positive and rich culture of Downtown Jamaica…..RSVP NOW HERE! The event will be held at the Jamaica Performing Arts Center (JPAC) located at 153-10 Jamaica Avenue, Jamaica, NY 11432.